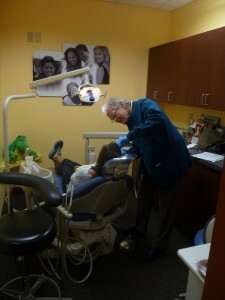 Dr. Landau has been practicing dentistry for over 25 years. He is a graduate of the University of Pennsylvania School of Dental Medicine. He has been involved in clinical and academic research, and has published. Dr. Landau has experience in the use of the most current dental materials and techniques. He chooses to devote a large part of his practice to cosmetic enhancement, but not to the exclusion of basic, good quality, dental care. Dr. Landau performs primarily cosmetic procedures which are frequently not covered under many insurance plans. We are happy to bill the insurance company to enable you to get reimbursed for any covered portion of your dental care; however payment is expected at the time of service, unless prior arrangements have been made.